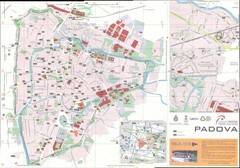 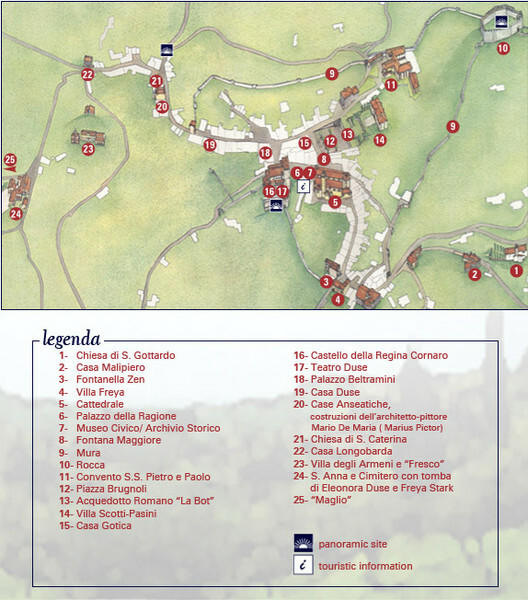 Tourist map of Asolo, Italy. 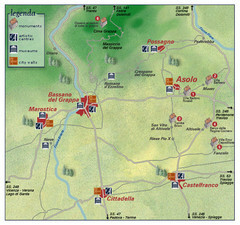 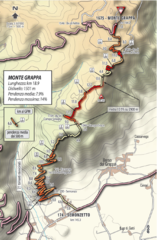 Shows points of interest, panoramic site, and touristic information office. 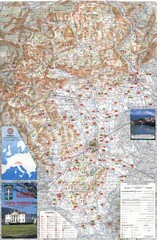 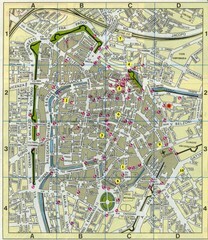 Tourist map of Asolo, Italy surroundings. 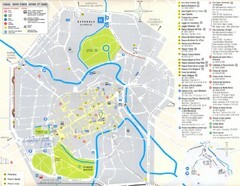 Shows monuments, art centers, museums, and city walls.